With their centralized locations and significant infrastructure, our log yards are quick partners for other operations. We are often approached by entities seeking to sell small “camp runs” of timber into the market. These small lots of timber, often just one or two truckloads or loads of mixed species, may not be economical for the seller to get to the right market. Teevin Bros. often acts as a facilitator to bring together the seller and buyer. If you have camp run timber, please contact Cheryl Konop for current pricing and buyer information. The prime regional log scaling bureaus operate from our log yards. 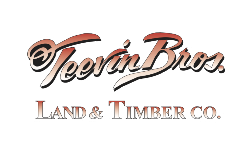 Customers requiring scaling and grading services may coordinate with the scaling bureaus and our log yard operations to have their timber processed though our location. Cheryl Konop oversees these arrangements; she also participates in the regional scaling bureau association. The Rainier facility offers an integrated approach to moving timber from and to barges for coastwise transportation. The volumes of timber moved by barge are impressive from both the volume moved and the cost of transportation. Timber has moved river-wise from up the Columbia-Snake River system, and coastwise from California to SE Alaska and British Columbia. Shawn Teevin and Cheryl Konop are the go-to people to discuss barging timber. Rainier also offers Oregon Department of Agriculture certified weigh scales for timber haulers and other over-the-road operators. Haulers requiring on-going certified weighs are encouraged to set up an account for these services. Weigh scale hours coincide with log yard hours. Please contact Cheryl Konop to set up an account. Our trucking division works closely with our log yard operations. If you require trucking assistance into or from our log yards, please contact Kandy Olson, our trucking boss, to establish service.